Mission: The mission of INCF is to operate and engage with programs that assist and improve quality of life. 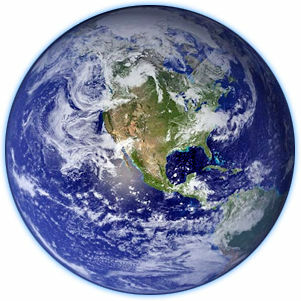 Vision: To promote responsible and effective philanthropy with a focus on science, art, culture, indigenous peoples, education, and personal and global sustainability. Donor Information: Inter-Nation Cultural Foundation is a global donor-direct Ca 501(c)(3) non-profit, established in 1998. All donations are tax deductible. What is unique about INCF's global donor-direct status? Donors may specify and follow up on the use of their funds. This gives donors a deeper sense of participation, as opposed to only being able to suggest, if that, the use of their funds when giving to organizations without donor-direct status. INCF has a federal exempt status, allowing us to collect money from any state. INCF can do projects abroad, taking U.S. exempt dollars out of the country. This is unique as it is very difficult to use tax-exempt funds out of country, especially after 9/11. Unlike a foundation where a donor can deduct only 30% of their taxable income, donors are able to write off up to 60% of their taxable income. This allows donors to divert more to charitable programs, as opposed to the government. Kenneth C. Hunt is an enrolled Native American and member of the Chicamagua Nation. He is Weichupla Clan (Hummingbird). Hummingbird is recognized as a World-Bridger. Mr. Hunt has over 30 years experience as an owner/director of charitable corporations. With a passion for working with cutting edge technologies in the fields of evolving consciousness in the healing arts, music (frequency and vibration), business, culture, and science Mr. Hunt has been developing programs for INCF since its inception in 1998. In the private sector, Mr. Hunt was the President/Owner of Arrowhead Industries, a computer reseller business that under his guidance did $100 million in annual revenue. 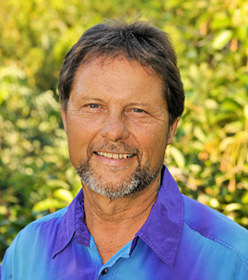 While Mr. Hunt is highly educated in the Western world of business, logic and technology, he has over thirty-five years of training within the indigenous spiritual community, the world of intuition, knowing and prophecy. He is a teacher of Sacred Law. Mr. Hunt graduated from the University of California, San Diego. Shirin Hunt is an intuitive healer, counselor, and teacher with over 20 years of experience in her expansive work. Shirin is considered one of the Oracles of INCF, as well as serving as the chairwoman. Her life inspiration as a healer compliments her dedication to philanthropy. 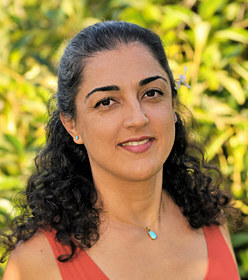 Coming from a dynamic international background Shirin's work incorporates the quantum healing techniques of ThetaHealing TM, Native American systems of Spirituality, and Hawaiian Mysticism. Her ability to connect with people from all walks of life plays a crucial role in her work with the community. Knowing that all true healing comes from the Creator and is expressed through love, her approach leaves individuals infused with love and touched by the "divine." Prior to her work with INCF Shirin was the Co-owner and Chief Operations Officer of Arrowhead Industries. She graduated from UCSD in 1990 with a degree in Psychology. Copyright © Inter-Nation Cultural Foundation. All rights reserved.